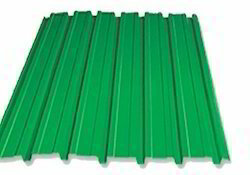 Prominent & Leading Manufacturer from Sonipat, we offer galvalume cladding sheets, galvanised roofing sheet and galvalume sheet. Withstand temperatures Up to 315 Degree Cel. With the help of our state-of-the-art infrastructure unit, we are able to supply the superlative quality of Galvalume Cladding Sheets. Utilizing the best quality galvalume and sophisticated technology, our experienced professional's design these sheets in compliance with set industry standards. Suitable for heating and ventilation applications, offered sheets are available in variegated sizes and specifications at market leading prices. 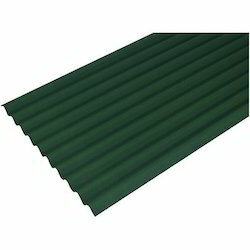 We are instrumental in supplying premium quality Galvanised Roofing Sheet. Used in industrial roofing & wall cladding system, this sheet is designed using supreme quality galvalume and cutting edge technology under the vigilance of our skilled professionals. In order to ensure its quality, offered sheet is sternly tested by our quality controllers on different parameters. Clients can avail the offered sheet from us at budget-friendly prices. Being one of the reputed organizations in the market, we are engaged in supplying an exclusive range of Galvalume Sheet. 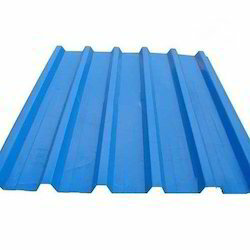 Used to provide the attractive finish to roofing and cladding of domestic, commercial and industrial applications, offered sheet is available in various sizes and dimensions for our clients to choose from. In adherence to set quality standards, this sheet is manufactured by our adept professionals using superior quality galvalume and sophisticated technology.